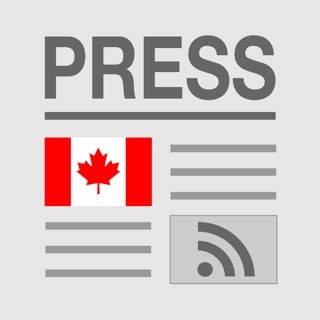 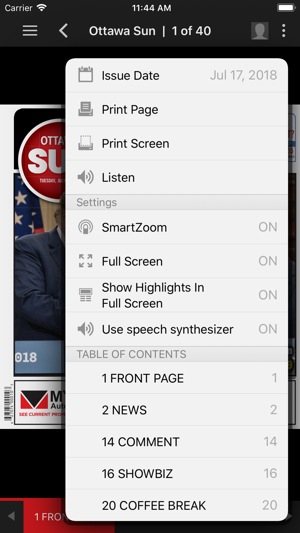 Now you can read Ottawa Sun anytime, anywhere. 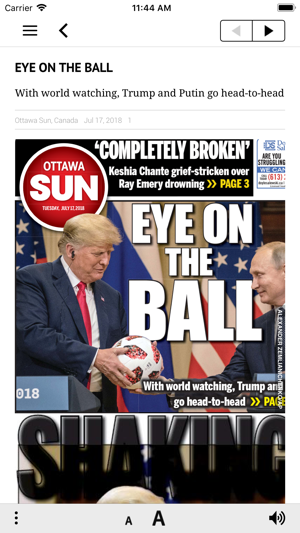 The Ottawa Sun ePaper is available to you at home or at work, and is the same edition as the printed copy available at the newsstand.The easy to use interface lets you flip leisurely through the pages like a newspaper, or conduct searches and share articles with friends like a website. 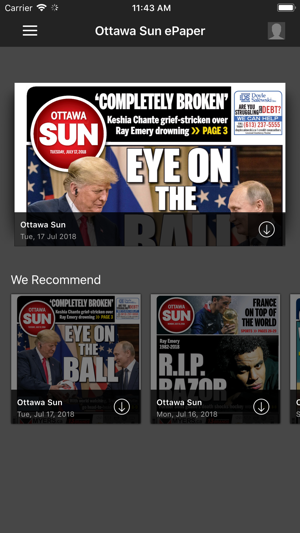 •The Ottawa Sun ePaper app allows you to subscribe to a 1 month subscription for $12.99/month. 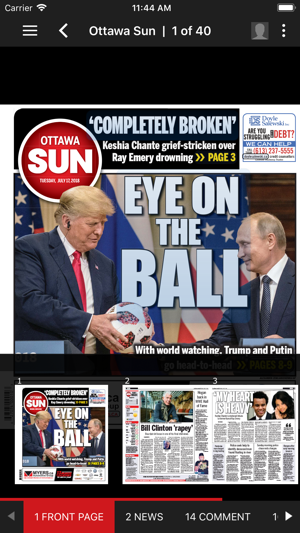 © 2018 Postmedia Network Inc. All rights reserved. 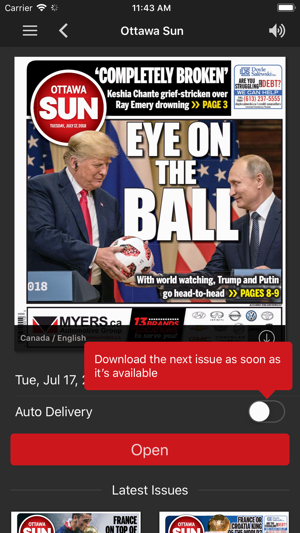 Unauthorized distribution, transmission or republication strictly prohibited.